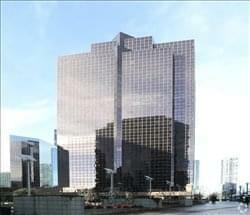 Find My Workspace lists over 95% of the executive office suites market in Bellevue. Simply click Request Quote to check pricing for one office, or Add to Basket for multiple offices. This center is Rich, natural light through 6′ windows and expansive views across Bellevue from the 11th floor. You ca enjoy a beautiful and productive environment with conference rooms, common spaces, phone rooms, a mother’s space, on-site bike storage and shower. This center provides enterprise and emerging tech companies with fully serviced office space, and a business ecosystem. There are private suites, offices, desks and shared space for teams of every size, from 120 or more, to single remote workers and founders. This space takes every part of office setup off of your hands, working with operations and RE manager to handle furniture, security, and office infrastructure such as WiFi, print/copy, etc. To obtain information for your selected Washington Executive Office Suites, please tick the "Add to basket" box for each office you prefer and complete the form below. We will then send a detailed report via email.